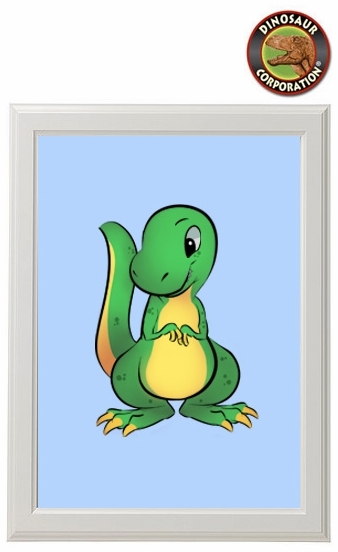 Baby T-rex Dinosaur Framed Dino Picture. A perfect wall decoration for your child dinosaur room. * Framed in 9 1/4" x 12 1/4" off white frame. ▪ Dinosaur Triceratops Sword Toy Blue Led Light, 26"